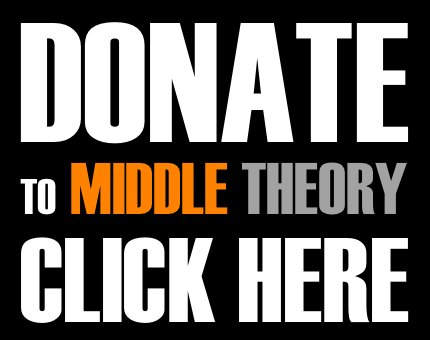 This week on Middle Theory, Micah travels to join Chris in Connecticut for a podcast in-studio, with a special segment highlighting the strengths and weaknesses of Libertarian Party candidate Gary Johnson. After several weeks of travel through the jungles of Belize and the Yucatan, Micah rounds out his travels with a brief jaunt to the Northeast, where he makes a surprise stop at the Connecticut Command of Mr. McNonymous in the hills of Newtown. While there, Chris and Micah visited the location of the new Sandy Hook Elementary School, prompting a brief discussion about our interactions with people in the community today that were (and continue to be) affected by the tragedy that occurred there. Moving along to politics, we examine the recent preoccupation the American media has had with what time Donald Trump and Hillary Clinton decide to publish their Tweets, which even made its way into a recent (and very hilarious) Saturday Night Live skit where Alec Baldwin may have given us the very best Donald Trump impression to-date. All jokes aside, we also analyze some of the lesser-discussed policies discussed by the candidates: Hillary Clinton’s plans for instating public service in exchange for student debt loan leniency, and Donald Trump’s plans for reforming health care for veterans. With all the discussion of Trump and Clinton here in the “final stretch” leading up to the November election, we decided it was “high” time to turn our attention toward Libertarian Presidential Candidate and long-time marijuana apologist Gary Johnson, whose recent gaffes have led to serious questions about his knowledge of foreign affairs. Would Johnson’s political experience as a former governor be enough to offset his apparent inability to name foreign leaders, in the minds of American voters? This entry was posted in Podcasts and tagged Aleppo, Donald Trump, Gary Johnson, Hillary Clinton, politics, SNL by Micah Hanks. Bookmark the permalink. About Gary Johnson and the Aleppo setup. It’s not really just about Libertarians being about local issues. 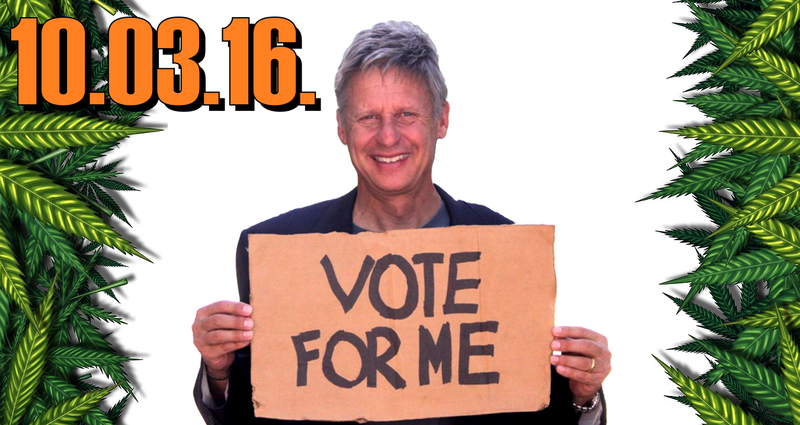 As a Libertarian, Gary has sworn a pledge to not participate in the initiation of violence to achieve political or social goals. This whole Aleppo situation is because of the oil warmonger parties using force to achieve political goals. Warmonger parties that our children and their children will feel the results from. It is true that most people are Libertarians. “Leave them alone as long as they leave us alone” is how most people feel and that is the Libertarian way. The ones that do not feel this way are … well … how to say it? evil and manipulative. It really is as simple as that. Anyone remember “Hope and change”? How has that worked out? Vote a puppet, get a puppet.